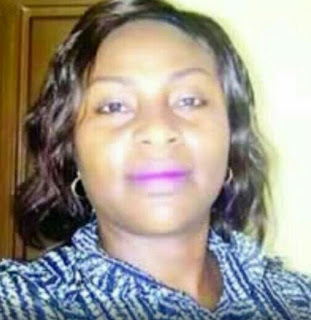 A Senior Registrar in the Department of Paediatrics , University of Calabar Teaching Hospital, Dr . Emem Udoh, has been abducted by unknown gunmen while on duty in Calabar, Cross River State. This came barely two days after another medical practitioner with the Cross River State College of Education Medical Centre in the Akamkpa Local Government Area, Dr. Usang Ekanem, was released following his abduction on December 26, 2017. There are indications that members of the state chapter of the Nigeria Medical Association may embark on an indefinite strike starting from Wednesday (today) in protest against the incessant abduction of their colleagues. The Public Relations Officer of the state branch of NMA, Dr. Ernest Ochang, told Southern City News on Tuesday that Udoh was abducted at gunpoint on Monday night when she was coming back from an extended duty. He said, “This is to inform the general public , particularly those resident in Cross River State that another medical doctor was kidnapped last night, January 8, 2018. This is coming after Dr. Usang Ekanem was suddenly released after we threatened a sit at home action . “The young doctor was coming back from an extended duty of caring for children which is her passion and had to work beyond her schedule due to the few hands available in her unit. “We wish to inform Cross Riverians that this is one too many and a direct affront on our corporate existence. We took an oath to save lives and that much we must do. We pay tax and desire to live peacefully in the society.